This year's ornaments-in-progress. Old gold on green! I know it's not a traditional color but we have several glass ornaments with this color scheme already and I think they give a brightness and glitz to a Christmas tree. Especially if you use white lights like we do. So pretty! Better photos will follow when they get finished all the way, but I've got to find some matching trim and beads first (oh poor me). 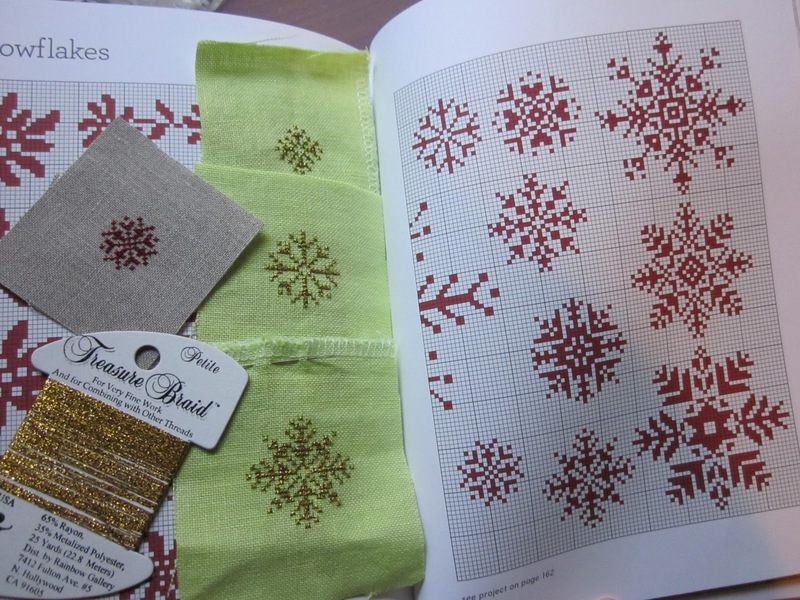 These wonderful snowflake patterns are from a wonderful newish book "A Rainbow of Stitches" by several French designers including Muriel Brunet. 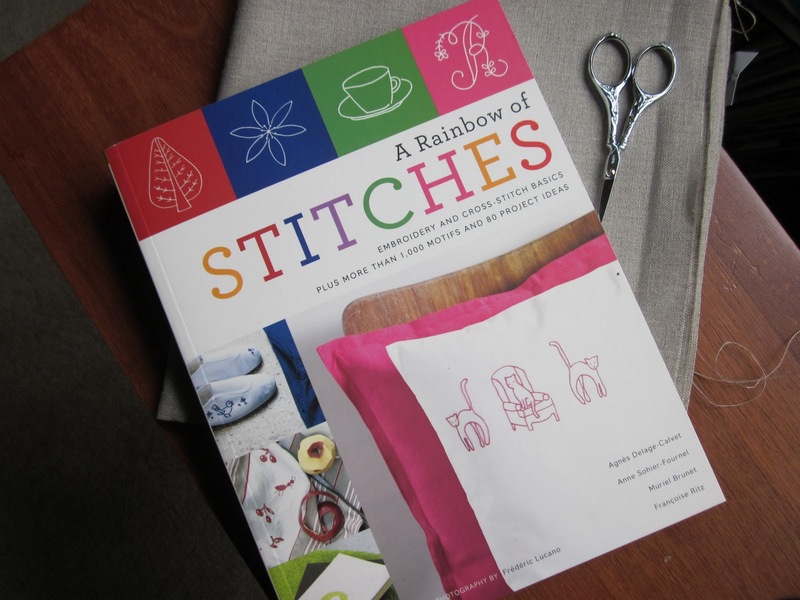 The book has a wide variety of hand embroidery patterns as well as cross-stitch, all of which lend themselves to whatever colors you choose. 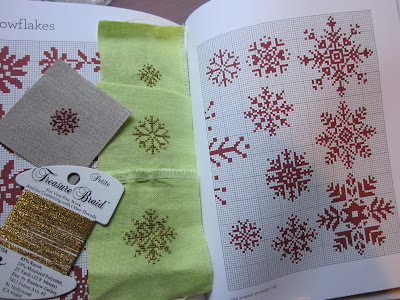 As for my snowflakes, I think I'll also work some up in alternate colors for gifts. They stitch up pretty quickly. See the more traditional red on natural linen up there in the first photo? I'm also thinking silver or white on dark blue or gray could be wonderful, or any color on white...hard to go wrong!